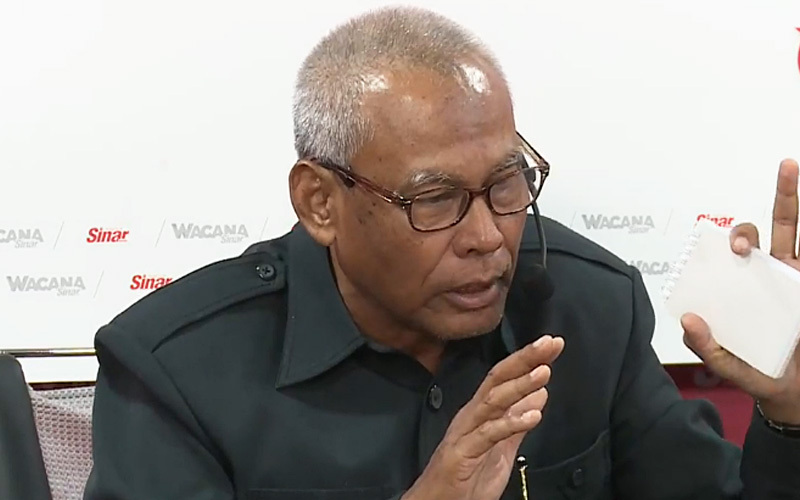 PETALING JAYA: Former inspector-general of police Musa Hassan again defended the Internal Security Act (ISA), saying it had lowered incidences of crime and murder among gangsters, but his reasoning was shot down by human rights activist Edmund Bon. Musa said crime went up after the law was repealed in 2012 and that there were more shootings and murders among gangsters. “That is why the government introduced or expanded Pota, Poca and Sosma,” he said, referring to the Prevention of Terrorism Act 2015, Prevention of Crime Act 1959, and Security Offences (Special Measures) Act 2012. He said this at a forum organised by Sinar Harian today. However, Musa said the three laws differed from the ISA which allowed a person to be detained for 60 days without trial. For Sosma, for instance, there was a need to remand the person, investigate and take him to court. If there was no case, he would be freed and if there was, he would be charged in court. But Bon, the Malaysian Centre for Constitution and Human Rights (MCCHR) director, said there was no evidence to show crime had gone up after the repeal of the ISA and no survey had been done to gauge if this was so. On the Sedition Act, he said it was used by the British to ensure no one went against them, and that today’s government could also use it on its opponents. Bon said that years ago, when the Independent Police Complaints and Misconduct Commission (IPCMC) was proposed, it was suggested that it not only probe the police for alleged wrongdoing but also ensure policemen had better working conditions, salaries and accommodation. But Musa said the IPCMC would give powers to that body to probe the police. “They can punish and the police officers cannot appeal in court. We need to give justice to them (the police) too. There should be justice for both. There should be a balance,” said Musa. He said just like the military had its court martial process, any probe against the police should be done internally. Bon said he was not advocating justice for only one side but that all sides should get justice and be heard by an independent body. Faridah Jalil, an expert in constitutional law, said the biggest human rights enemy was the government. “They have the power to make laws in Parliament. We need to reduce or amend the Acts that can be used as weapons, whether against political opponents or citizens,” she said.